THE hugely popular BBC TV murder mystery series Shetland returns next month with another six-part tale starting on 13 February. 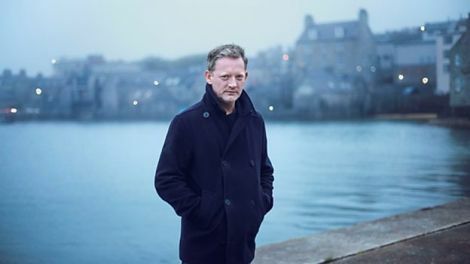 This time detective Jimmy Perez, played again by Douglas Henshall, has to deal with murders from the past and present – which have unsettling similarities. When Shetlander Thomas Malone (Stephen Walters) has his murder conviction overturned after 23 years, which he’s spent behind bars, Perez has to reopen the investigation into the 1994 death of local teenager Lizzie Kilmuir. While Tosh (Alison O’Donnell) and Sandy (Steven Robertson) delve into the past, Perez talks to retired detective Drew McColl (Sean McGinley) about the historic case. Drew was the officer who convicted Malone and remains convinced he’s guilty, despite DNA evidence to the contrary. However, when Perez listens to the interview tapes from Malone’s arrest he doubts the veracity of his confession. With many islanders still believing he’s guilty, suspicion surrounds Malone as he returns to Shetland. Meanwhile, Drew’s daughter, local journalist Sally McColl (Amy Lennox), goes to a folk festival with her boyfriend Alan Killick (Gerard Miller) and her flatmate Jo Halley (Sophie Stone), and is later seen arguing with a mysterious stranger. The next morning, Drew reports Sally missing and her body is discovered a short time later. The nature of her murder has striking similarities to the Kilmuir case, putting Malone firmly in the frame. Everything points to Malone having murdered again, but he swears his innocence. As pressure mounts on Perez, he must look beyond the gossip and prejudice to get to the truth. The fourth series of the crime drama Shetland, based on the novels by writer Ann Cleeves, is a Silverprint Pictures production for BBC One. The first hour-long part will air on 13 February at 9pm.